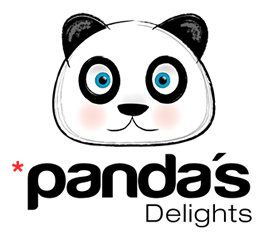 Videos de Panda's Delights - Para los curiosos que quieren aprender cómo hacer recetas, conocer diferentes utensilios y herramientas de cocina ó entretenerse con reseñas de ingredientes. Do you know Passion Fruits? I Compare 5 Here! Do you know something about passion fruits? i compare 5 different passion fruits here in this video. See all five passion fruits inside and out. And how I extract the juice with my immersion blender froth blade attachment. I'll show the variations in color and size of the passiflora family fruits. Basic Crêpe Suzette Recipe by Panda's Delights. A simple crepe recipe along with orange slices and a sweet orange cointreau sauce. Let it rest for a few hours in the fridge. Mix the juice left from slicing the orange and the sugar. Simmer without letting the mix darken, once it is a little bit thick (testing on a wooden spatula), add a dash of Cointreau or Grand Marnier (Optional). I Like to add a scoop of vanilla ice-cream to this dessert, though in this case, we kept it simple. Remember to Subscribe so you can keep up to date with video releases. Kraft Delux Supreme Mac & Cheese Pizza with a Twist. I was inspired by the recipe in the back of the box, so I added my touch with my personal favorite home made pizza dough (with Italian herbs and a touch of garlic powder) and the toppings I had available at home. Preparing my bread and pizza dough with the KitchenAid Professional 600 Series 6 mixer with the dough hook makes kneading a breeze. A quick video showing the recipe & steps for making a spanish tortilla. This is my review of the 5 speed kitchenaid hand immersion blender, after using it for over 3 years. Then demo the “food chopper” attachment to chop cookies/crackers for use in pies or cheese cakes, the whisk attachment to whip cream and two blade bell attachments along with the one liter pitcher to make a refreshing ice coffee frappe. Panda's Delights creating the Peach Melba ice cream for the Gelato World Tour - Ecuador & Colombia Challenge 2017. Making the french vanilla ice cream on a Carpigiani machine. Giving the final touches to the Valrhona Dulcey 32% and Equatoriale Lactee 35% Chocolate swans. Mixing the peach cubes within the ice cream. Raspberry insert for desserts used by Panda's Delights for the Chocolate raspberry love drop. Perfect filling for mousses and cold/frozen desserts. Chocolate Raspberry "Love" Drop, One of our most creative desserts.A drop shaped chocolate shell filled with dark chocolate mousse and raspberry sauce filling with a fresh raspberry in the center. Nutella miniPopsicle by Panda’s Delights is our version of mono portion Nutella ice cream popsicle for catering at events. It has strips of Nutella along with the ice cream which enhances the Nutella taste, making it the most sold mini popsicle flavor of 2016. All our mini Popsicles have the mini stick which is the perfect size to maintain an excellent ice cream to stick ratio. miniPaleta de Nutella by Panda’s Delights es nuestra versión de mono porción de helado de Nutella para catering de eventos. Tiene líneas de Nutella junto con el helado lo cual realza el gusto de Nutella, haciendo que sea el sabor de miniPaleta más vendido del 2016. Todas nuestras miniPalatas usan los miniPalitos, los cuales tienen el tamaño perfecto para mantener una proporción, helado/palito, perfecta. Quick Spanish Tortilla Recipe with a red bell pepper foam. A quick video showing the recipe & steps for making a spanish tortilla with a topping of red bell pepper foam.